Everyone hates Roger Goodell, including fans at the 24 Hours of Daytona. Everyone hates Roger Goodell, including fans at the 24 Hours of Daytona. 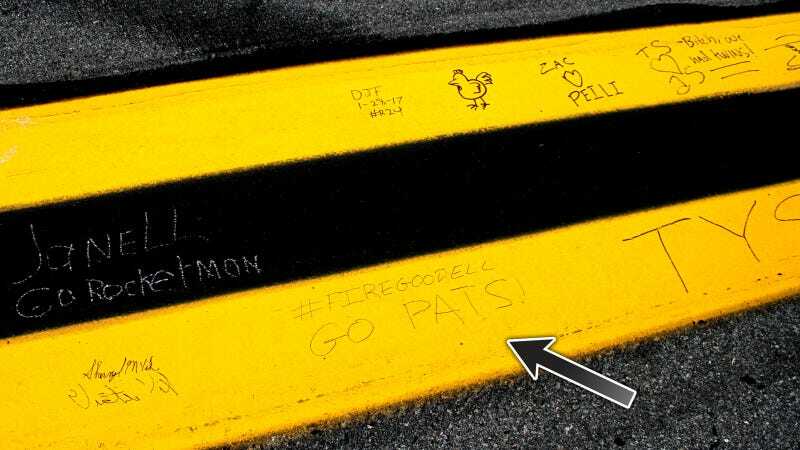 This New England Patriots fan’s “#FIREGOODELL” love note to the NFL commissioner was spotted among fan signatures on the low yellow line around Daytona before today’s Rolex 24.